Meet Hiroko! RASKC is very pleased to honor one of our longest-serving Dog Walkers, who demonstrated fantastic proficiency and dedication from 2011 through earlier this year. An interview with Hiroko can be found on our website and blog. RASKC recognizes the vital work performed by Licensed Veterinary Technicians (LVTs) at our shelter. With over 5,000 animals that arrive at RASKC each year, the LVTs perform essential work on animal intake; assisting in spay/ neuter and other surgeries; caring for sick, injured, abused, and neglected animals; promoting animals’ foster care; arranging for animal transportation to specialty Vet Clinics; prepping animals for special-adoption events; and working with volunteers. Lori Mason (left) has been working here for over 18 years. While always an extremely hard worker, Lori’s service has been extraordinary this year when at least one, and sometimes two, of her LVT co-worker positions were not filled for months. Lori also works as RASKC’s Foster Care Coordinator. We are extremely pleased that Courtney Robblee (right) has recently been hired as an LVT at RASKC. See the related article below. And we are delighted that Colleen Wayne (middle) has taken some time from her special-duty assignment in the Medical Examiner’s office to help train Courtney. What a team! 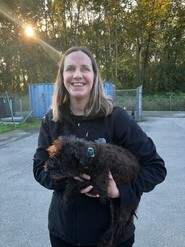 Hurray for Courtney Robblee, LVT, who recently began working in RASKC’s Vet Clinic! She brings 18 years of experience as a Vet Tech, having worked both in emergency medicine and in day practice. Courtney cares for 10 animals at her home, in addition to a spouse, and two children aged 13 and 15 years old. She grew up in Puyallup and enjoys hiking and camping. Last March, Tim Anderson (Acting Manager) and Marcy Goldstone (Animal Control Officer) were accepted into the University of Wisconsin-Madison Shelter Medicine Fellowship Program. The fellowship, made up of the first national team of shelter managers, is focused on promoting animal welfare through community outreach and sheltering of homeless animals. The program staff have been made available to assist with these goals in a number of ways, including on-site consultations, outbreak assistance, diagnostic testing, and providing workshops and regional tours. Keep an eye out for the next few enewsletters, as we start announcing the roll out of some new programs thanks to the advice of the University of Wisconsin staff and leadership of Tim and Marcy! 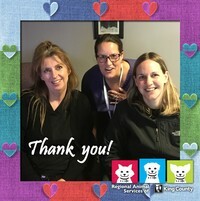 Making Open House Shelter Month Paw-awesome! RASKC, along with 25 animal shelters across Washington, took part in Pawsitive Alliance’s 7th Annual Shelter Open House on Saturday, October 6. This is part of the organization’s mission to help end the euthanasia of cats and dogs in Washington by increasing adoptions, supporting spay and neuter programs, and improving pet retention. The statewode Open House was an opportunity to invite the community to visit and learn about their local shelter. Many shelters provided various activities including adoption discounts on this day. RASKC provided a 50% discount on all adoptable pets which resulted in 29 furry friends finding forever homes (7 dogs, 3 cats, and 19 kittens). This is 23% up from last year (3 dogs, 1 puppy, 12 cats & 7 kittens). Q-13 Fox promoted the statewide event. Their spot included appearances by RASKC volunteers Kelsey and Aiden Anderson and representatives from Everett Animal Shelter, Seattle Area Feline Rescue, and Pawsitive Alliance. We’re thankful to the community, Q-13 Fox, and Pawsitive Alliance for all the support! RASKC is now accepting with gratitude donations of cat cozy blankets. There are sewing and non-sewing options. 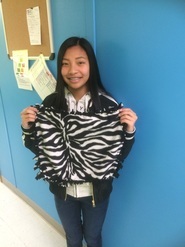 If you make the blankets without sewing, by creating fringe and tying it (like in the photo), you would cut the material for larger blankets as 25”x 21” and for smaller blankets as 13”x 21." It’s very important that the fringe is very tightly tied together. Loose fringe can be hazardous to cats. Please watch this training video. 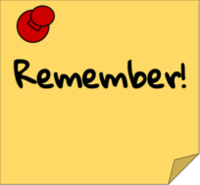 If you are a RASKC volunteer, please remember to post your hours via the timesheet in your online record under “Make Blankets or Toys or Decorate Cat Boxes.” Here are instructions on how to post hours. If you bring in the blankets to RASKC/ Kent, please do so in the afternoon unless you work a morning shift at the shelter. If you would like to host a cat blanket-making party in your home, at a library meeting room, or at PIMA on the RASKC campus, please contact Volunteer Program Manager Sarah Luthens. RASKC bids a fond farewell to Animal Care Technicians Rebecca Smokoska and Adam Winston. 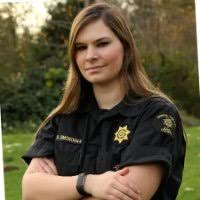 Becca now works as an Animal Care Officer for Snohomish County. #HappyTails are wonderful stories that are shared by residents who have adopted a RASKC pet. To hear more of these stories, be sure to follow us on Facebook! "A one month (and a few days) update! Even though I update y’all all the time lol! Django loves her mommy and daddy SO MUCH! (Ok maybe mommy a little more😂) but she loves to hang out and cuddle and her new favorite word is SQUIRREL! She will run around with daddy and chase em down! If we tell her to look at a tree for them she’ll try to jump on it! She’s FULL of energy but can be very focused too! Puzzle treats and things she can chew on to redirect her energy are her favorites! She even has gotten PAW trick pretty down now! She’s so smart and basically listens to me even if I tell her something complex like “go get me a toy...go over there...go tell daddy to take you potty..” it’s like she knows! We will be starting her training classes ASAP and have already gone for a consultation! This old girl Can DEFINITELY learn new things! BONUS! We are looking into getting Django registered as an Emotional Support Animal! Any time I have cried or had anxiety attacks around her she lays on me and barks at me to get my attention. She redirects me to focus on her so I can calm down. My husband and I literally can’t even bicker like the married couple we are cuz she barks at us as soon as we do and we can’t hear each other lol!! She’s SUCH an angel! We love her and are glad we made this commitment to her! ❤❤❤❤❤ thank you ❤"
Halloween is "spook-tacular" for kids of all ages, but the holiday can be pretty scary for our pets. 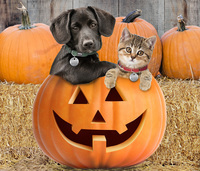 Go here for additional tips to help keep your pets safe during Halloween. “I started working with animals about 50 years ago in a summer program for high school students at Chicago’s Lincoln Park Zoo. Each day began with half-day classroom study and the rest of the day assigned to different areas of the zoo. I became an official volunteer there at age 16 and stayed for two years. I worked hands on with a wide range of animals including primates, birds, reptiles, and mammals. I was hooked. “Through the years, I worked as a Riding Instructor, Barn Worker and many other jobs, volunteer and paid, involving animals, until I moved to California where I was hired by Frank Inn, working caring for animal actors. Frank Inn is the owner and trainer of Benji. He provided the animals for shows like The Beverly Hillbillies and many other movies and television shows. “After a couple years, I got hired as a Humane Officer for the Southern California Humane Society in 1979. I worked there as an Officer, Training Officer, Special Enforcement Officer Assistant Manager, and Manager until I was seriously injured on the job in an auto accident. 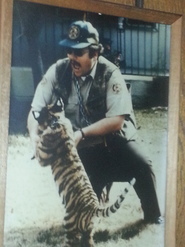 “I also spent over 10 years as a volunteer with the Wildlife Waystation, a shelter for wild and exotic animals, as an Education Director and Emergency Response Team Member. 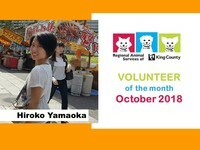 I trained staff and volunteers in animal handling. I also trained a wide variety of wild and exotic animals to use in my education programs where I would go to schools and civic groups throughout Southern California. While at Waystation I was able to work with Bubbles, the chimp who was adopted by singer Michael Jackson. 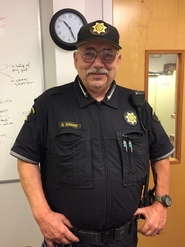 “During my recovery from my accident, I moved to Cowlitz County in Washington State where I was hired by the Cowlitz County Humane Society as a Humane Officer. “After about five years, I was hired by King County. I have been here for just over 24 years. It will be 25 years in April 2019. I will retire later that month. Why did you decide to work to help animals? It seems it was my destiny. What is the best part about your job? Using my experience and training to help such a wide range of animals. What do you do when you are not working? Fish and camp whenever possible. Please share a notable experience with an animal. With the Wildlife Waystation, I was doing a program at a school using a ferruginous hawk that I trained. Ivory's right wing had been amputated as a result of a gunshot wound. I used her to teach kids about using any weapon, be it a gun, pellet gun, slingshot or any other type weapon in a responsible manner. I would ask the kids to raise their hand if they had any of these weapons, then I would ask them to raise their hands if they had ever aimed at an animal even if they did not hit the animal. At that point, I would bring Ivory out and tell her story and how, because of one someone’s bad decision, she would never fly free or breed again. A few weeks later, I received a letter from one of the kids from the program. The letter said he was sorry he lied and did not raise his hand when I asked if anyone had aimed at an animal. He said that he went home and spoke with his parents about Ivory and what he had done. He promised that he would never shoot at animal for the rest of his life, nor would anyone in his family. Knowing you touched one child is a feeling that cannot be matched. The other incident is when we got a call from the Biologist from Seatac Airport. It seems that a Lesser Anteater had escaped from its transport crate and was loose with its baby in the cargo hold of an Air China 747 jet. The baggage handlers were not amused. The Biologist, knowing my background, asked that I be sent out to assist in getting it contained back into its crate. The third incident is when I served a search warrant and seized a Puff Adder, a highly venomous snake from Africa. Someone locally had been keeping as an illegal pet. I could have never have been able to handle this call without my training and experience with exotics. I was assisted by the Reptile Curator from the Seattle Woodland Park Zoo. Hershey is a 9 month-old, black, female cat (#A564081). Her personality color is BLUE, meaning she is a gentle and loving cat who likes to take things slowly. Hershey was brought into the shelter by her previous owner, because they had too many cats. This sweet girl can be pretty shy at first. When she knows that she can trust you, she will melt in your arms! Hershey is looking for a family who understands that she will take some time to warm up in her new home. Once she gets comfortable with you, she just loves to snuggle and purr! Hershey has lived with other cats before and seems to do well with them. She will do best with a slow introduction when meeting any other cats in her new home. She is spayed, current on vaccinations and microchipped. Her $30 adoption fee also includes a free visit to the veterinarian of your choice, and 30 days of opt-in pet insurance through Trupanion. RASKC participated in CAToberfest today. 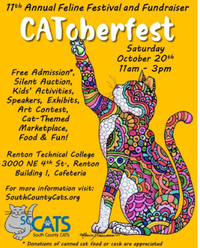 RASKC staffed a booth at South County Cats’ 11th annual fundraiser today, October 20, at Renton Technical College. There were kids’ activities, speakers, exhibits, a cat-themed marketplace, silent auction, food, and an art contest. Register for a Presentation on Kitten and Cat Health on Saturday morning, November 3, at 10am. RASKC volunteers are encouraged to register now for this presentation led by Animal Care Technician Brandy Cherone. For details or to register, go here. RASKC kittens at Microsoft this month. RASKC Animal Services Coordinator Nickie Ford will be bringing kittens to the Microsoft campus this Tuesday, October 23, from 11:30 a.m. - 1:30 p.m. as part of the Give Campaign. City of Seattle is hiring an Animal Control Officer II at $27.47- $29.59 hourly. For more information, go here. King County grants for unincorporated areas: Friday, October 26, is the deadline to apply for funds to help areas in unincorporated parts of our county. Projects can include civic activities, festivals, trainings, clean-up, signage, and work toward Equity and Social Justice goals. For more information, go here. Only non-clumping litter is allowed in the Cat Adoptions Building. We love it when volunteers re-stock litter. When you do so, please be sure that it’s non-clumping litter. Clumping litter can be very harmful to kittens if they swallow it. If a washer at RASKC/ Kent stops mid-cycle, then try taking out several items. Then re-start it. Please check both lint traps of the dryer in the feed room before every load at RASKC/ Kent. One lint trap is accessible on the top lid of the machine. The other lint trap is a grey and square sized attached to the silver pipe above the dryer. New colors for commercial towels: The commercial towels can come in different colors. While they have been brown for most of this year, RASKC has recently received a batch that are light blue. These towels are set in special bins when dirty. They are not to be included in washer loads at RASKC. If you would like to attend new volunteer orientation on Tuesday afternoon, November 6, or Saturday morning, November 10, find out more information here. Note: If you have not yet attended new volunteer orientation, please contact the Volunteer Program for possible “fast track” consideration. Priority is given to people who have already attended the session and who have already submitted the required paperwork. Thanks. Thursdays, 10am- 11:30am, or 10:30am- 12pm or 10:30- 11:30am, 10am- 11am, or 11am- 12pm. For questions, comments, or suggested topics or photos for future eNewsletter editions, please contact Sarah.Luthens@kingcounty.gov.